Professional Supplement Center now offers a line of clinically validated medical foods manufactured by Physician Therapeutics®. These medical foods offer safe and effective solutions for health challenges by addressing the distinct nutritional requirements of chronic conditions at the cellular level. 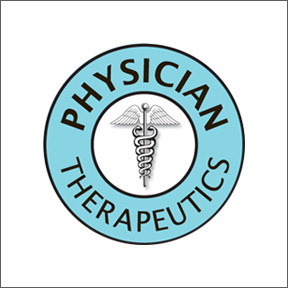 Established for over ten years, Physician Therapeutics® has developed amino acid-based medical foods to help safely manage chronic conditions that include pain management, obesity, inflammation, and hypertension, as well as sleep and cognitive disorders. Medical Foods are FDA registered products that meet distinctive nutritional requirements for metabolic deficiencies of a disease state. Formulas address not only the nutritional needs of a healthy person to maintain homeostasis, but also consider the effects of a disease process, such as malabsorption, impaired metabolism, and nutritional losses resulting from poor gastrointestinal function. Manufactured in a cGMP registered facility, Physician Therapeutics® medical foods help fill the void not addressed by pharmaceutical therapies, providing vital amino acids and nutrients that are required to maintain a healthy balance and daily function and to meet the increased nutritional demands of chronic illness. Theramine® – This proprietary medical food is specially formulated to safely and effectively manage pain syndromes by promoting the production of important neurotransmitters responsible for decreasing pain and inflammation. Theramine® provides specific proportions of amino acids and polyphenols in support of dietary management of altered metabolic processes associated with chronic pain, osteoarthritis, fibromyalgia and inflammatory conditions. AppTrim® – AppTrim is formulated to address specific amino acid deficiencies for the dietary management of altered metabolic processes associated with obesity, morbid obesity and metabolic syndrome. This non-pharmacologic effective appetite suppressant can help to reduce hunger and caloric intake by restoring neurotransmitters that control appetite, satiety and carbohydrate cravings. Hypertensa® – Specially formulated for the dietary management of metabolic processes associated with hypertension, Hypertensa® provides amino acids and nutrients in balanced proportions that stimulate the synthesis and activity of neurotransmitters responsible for regulating blood pressure and vascular function. Percura® – Percura is specially formulated with specific amino acids and nutrients that help balance and support the nervous system, and effectively manage the altered metabolic processes associated with neuropathic pain, inflammation and numbness. Percura® provides neurotransmitter precursors needed to safely dampen pain signals, limit inflammation and improve blood flow. This entry was posted in Home and tagged AppTrim, Hypertensa, Percura, Physician Therapeutics - Featured Brand, Professional Supplement Center, Theramine, Vitamins and supplements, www.professionalsupplementcenter.com. Bookmark the permalink.